After we have launched https://findagency.com, something was missing. Especially taking into account that thousands of translators, which are not translation agencies, are using AIT products daily. How many cores do translators use for word count? Did you know that your PC may have more than one ‘brain’ inside? 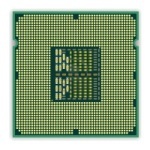 Well, It is still one physical chip but there are more than 1 logical ‘core’. Most modern computers ship with multi-core processors. E.g., Intel Core i3 processor has 2 cores, Core i5 processor – between 2 and 4 cores, Intel Core i7 processor – between 2 and 4 cores. I manage the team behind TO3000, Projetex, and AnyCount. TO3000 is translation management software for translators. Projetex is translation management system for translation agencies. AnyCount is word count, character count, and line count tool, which supports 36 formats. Projetex 9.0 Released! The New Version of the Leading Translation Management Software! Translation Management Blog is now live! © Advanced International Translations, 1998 - . Translation Management Software for Translation Agencies and Freelance Translators.